I don’t know where my friend Raphaël stumbled upon this poster, but when he showed it to me I first thought it something new. It seemed, after all, to spell out the latest dietary consensus, a set of rules that gourmets, locavores, ecologists, vegetarians and vegans, gluten-intolerants and -phobics, and anti-obesity activists could all agree on. But then I noticed the name at the bottom. Not the U.S. Department of Agriculture, not the U.S. Food and Drug Administration, but the U.S. Food Administration. What was that? And why would any agency of the U.S. government discourage the eating of wheat? And so I studied a little history. President Woodrow Wilson, I learned, created the U.S. Food Administration in 1917, to cope with food shortages in wartime Europe and resultant price rises in the United States. He appointed as head of the new agency the then little-known Herbert Hoover, who had previously led the Belgian Relief Organization and who insisted on working without pay to model self-sacrifice for the American populace. Hoover’s job was to cut food consumption at home and to mobilize the resulting surplus to feed both the fast-growing U.S. army and allied armies and civilians. As much as possible, Hoover wanted to accomplish all this without rationing or any other sort of coercion. He would convince Americans to cooperate voluntarily. Posters like the one Raphaël found were essential to the propaganda effort. 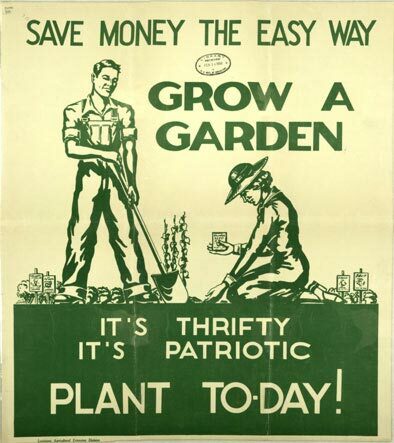 On work sites and in public places, posters told Americans that “Food Will Win the War.” Accustomed to prodigal consumption of cheap and abundant foodstuffs, Americans were now encouraged to grow their own, to can and dry local produce, and to eat all leftovers instead of throwing them out. They were urged to eat potatoes and corn instead of wheat and to deny themselves sugar and meat and butter as well, so that the foods most in demand could go to the army and the allies. Are good enough for me. Of food upon my plate. For supper time I’ll wait. The campaign was impressively effective. In some cities nearly all households signed the pledges. 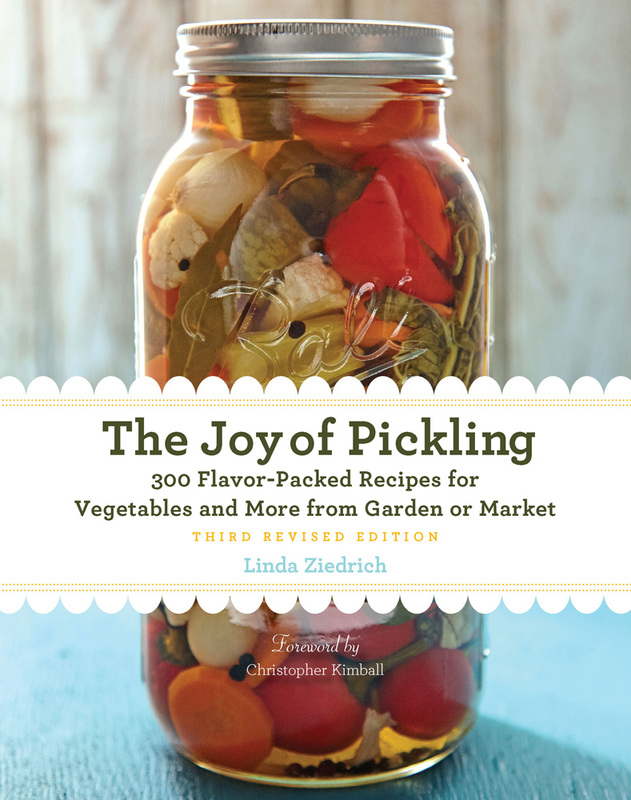 Nationwide, home food consumption fell by 15 percent over a 12-month period from 1918 to 1919. Immediately after the Armistice of 1918, the U.S. Food Administration began shutting down its activities. The agency was finally terminated in 1920. But the food conservation campaign had a lasting effect in Europe: The surplus stores created by U.S. food shipments helped prevent a European postwar famine. The needs of others, apparently, can be a more compelling cause for sensible eating than today’s dominant appeal to personal health and good looks. 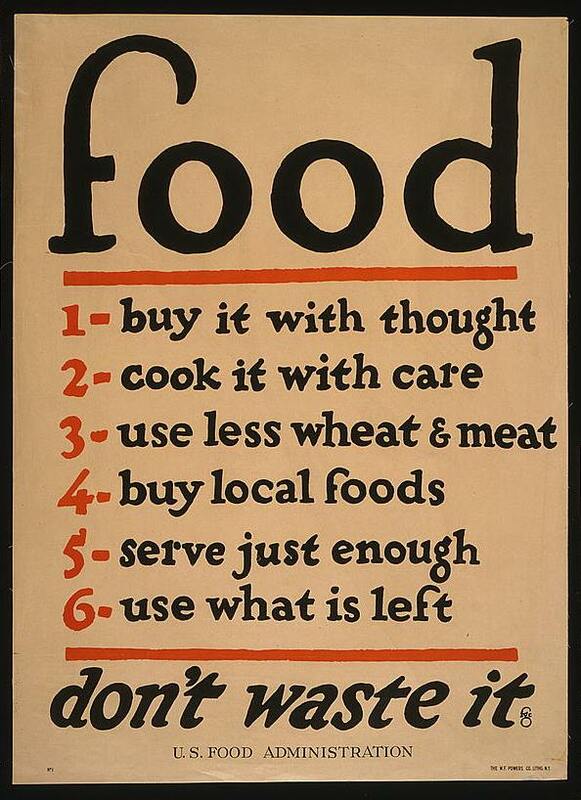 Here are a few of the other posters produced by the U.S. Food Administration. The posters are scattered among various collections, including the National Archives and the USDA National Agricultural Library. You can see some of the other posters here, here, and here. NOTE: The children’s pledge appears in The Life of Herbert Hoover: Master of Emergencies, 1917-1918, by George H. Nash (New York: W. W. Norton, 1996, page 158). For more about the U.S. Food Administration, see History of the United States Food Administration, 1917-1919, by William C. Mullendore (Stanford, Calif.: Stanford University Press, 1941). 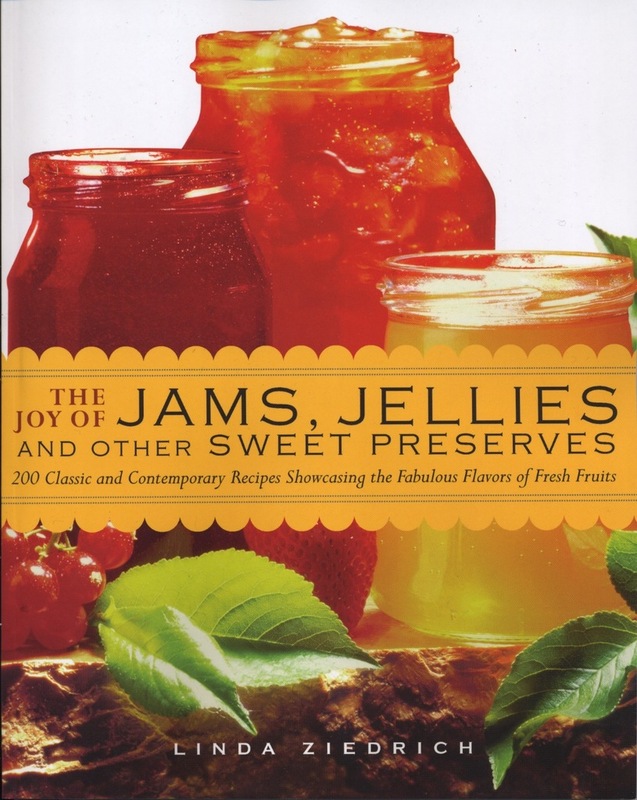 Records of the U.S. Food Administration are stored in the Hoover Institution Archives at Stanford University. 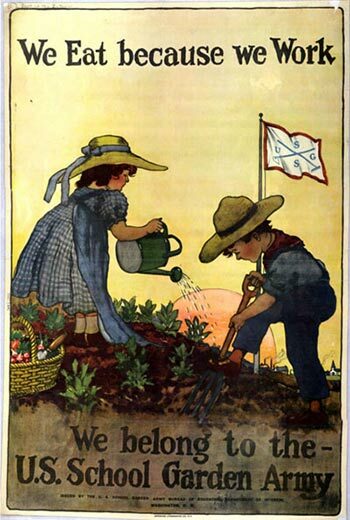 This entry was posted in Food history and tagged food conservation, Herbert Hoover, home gardening, school gardens, U.S. Food Administration, war posters, World War I. Bookmark the permalink. I always love these old posters, and the history is really fascinating, maybe we SHOULD try and appeal to other people’s needs more, though I feel it wouldn’t go over as well these days. Nice, thanks for the great links! This is a seriously interesting slice of American history we do not consider nearly often enough. 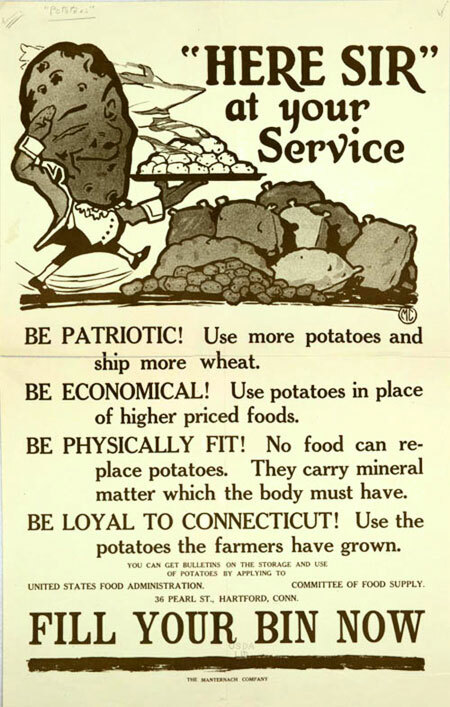 You may really enjoy this curated digital exhibit of the posters – it sheds much light on how the government teamed up with Madison Avenue advertising and began shaping American food knowledge during WWI & II. Thanks so much for the link. I don’t know how I missed that website!